UK Radio Scanning Forum • View topic - Take care recharging your radios. 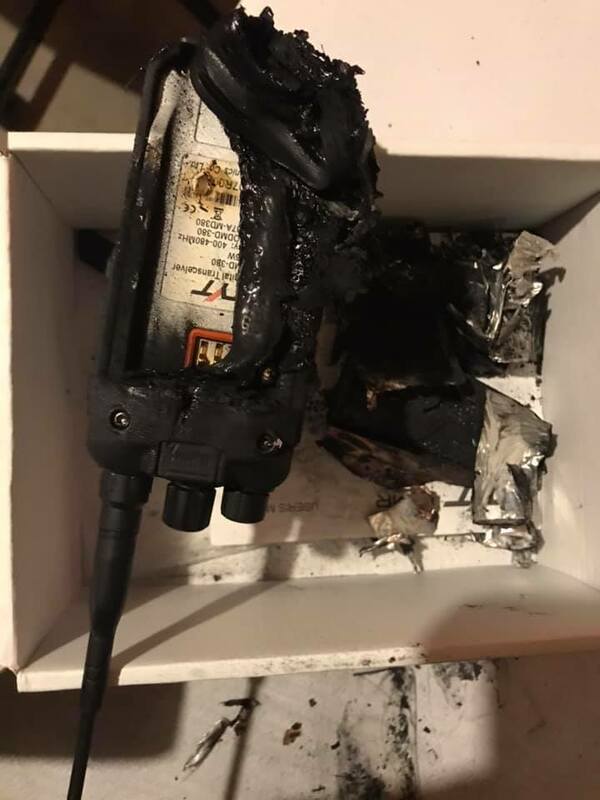 I spotted this on a FB radio page..
Re: Take care recharging your radios. Thats cooked! I never go far from a charger and always charge on wood or a worktop. Smoke alarms are always a good idea for a shack. Thats pretty bad! 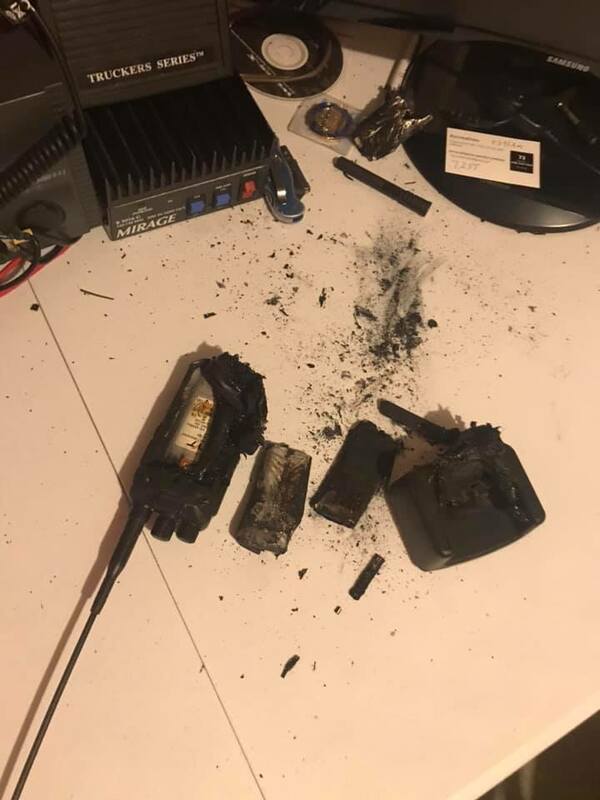 Had a few smoking chargers and base stations but nothing like that!